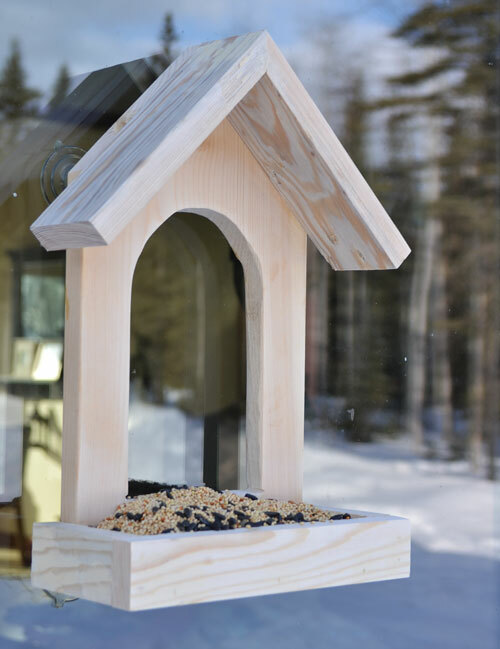 Spring and summer brings back birds home and its rewarding to make bird feeders, birdhouses and bird baths for them in the backyard and garden. 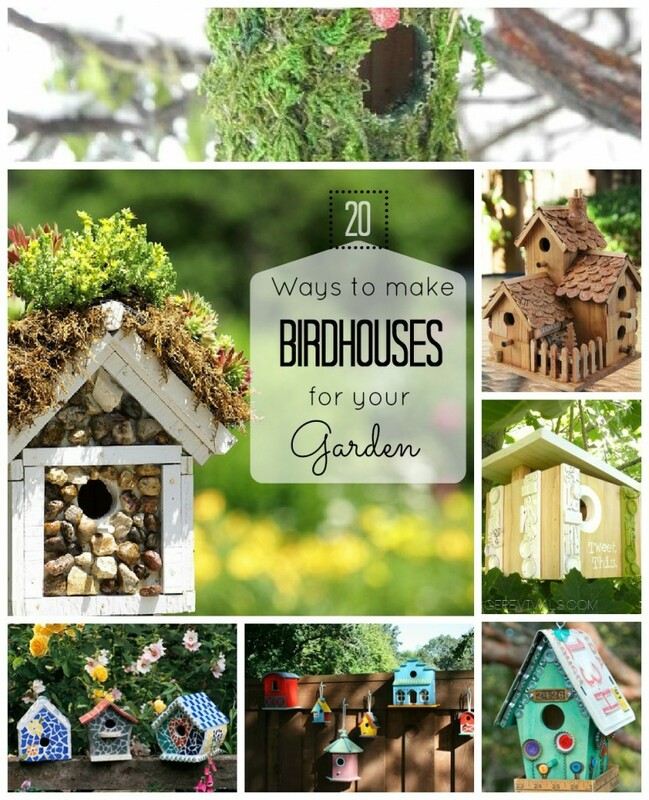 Using these ideas is going to make that special intention come true for bird lovers. When the season changes, birds from all around the world tend to migrate from one pole to the other. Thus on the way it would be tempting for them to have bird seeds (bird food), where they can rest and fill before the next flight. They are a beautiful eye sight too. And an amazing way to see new birds that have arrived in our area. 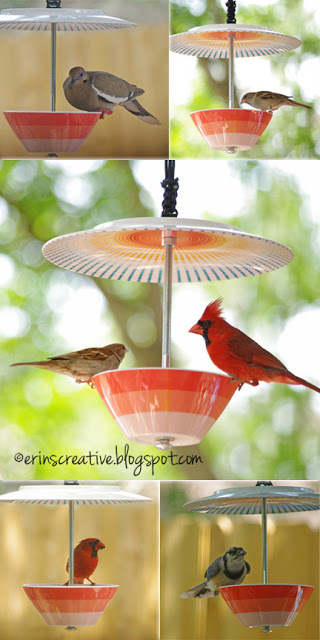 Ceramic Bird Feeder by Erins Creative blog. 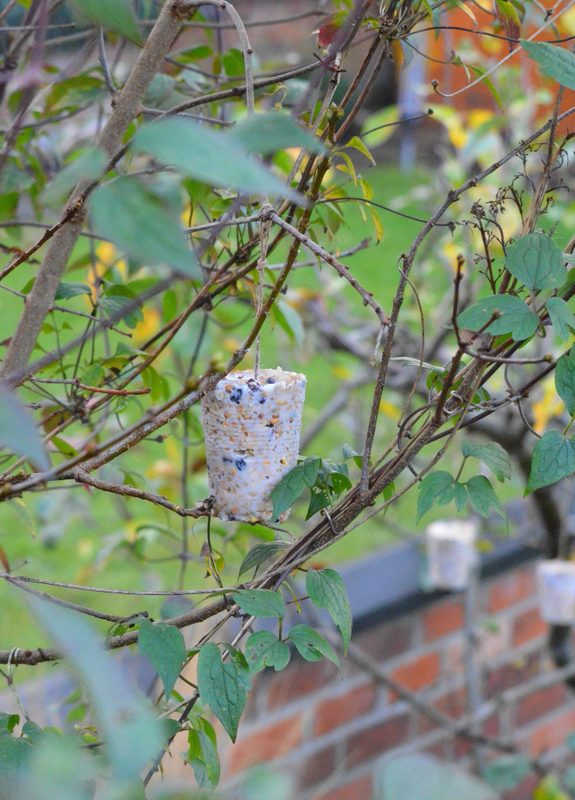 Bird Feeder in Trees by Growing Family. 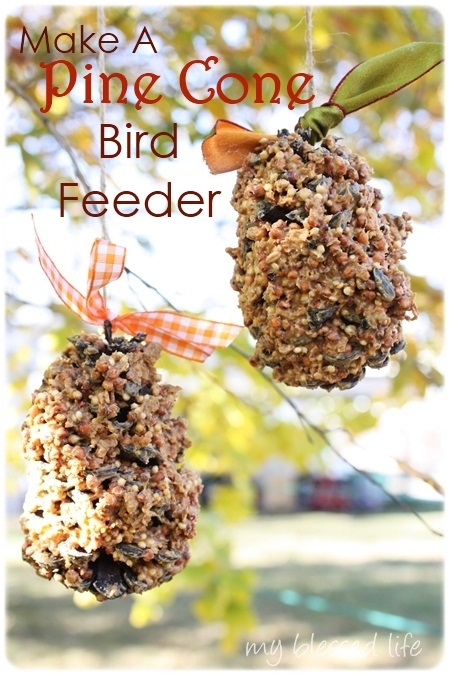 Bird Feeder Within 3 Minutes by 2 Bees in a Pod. 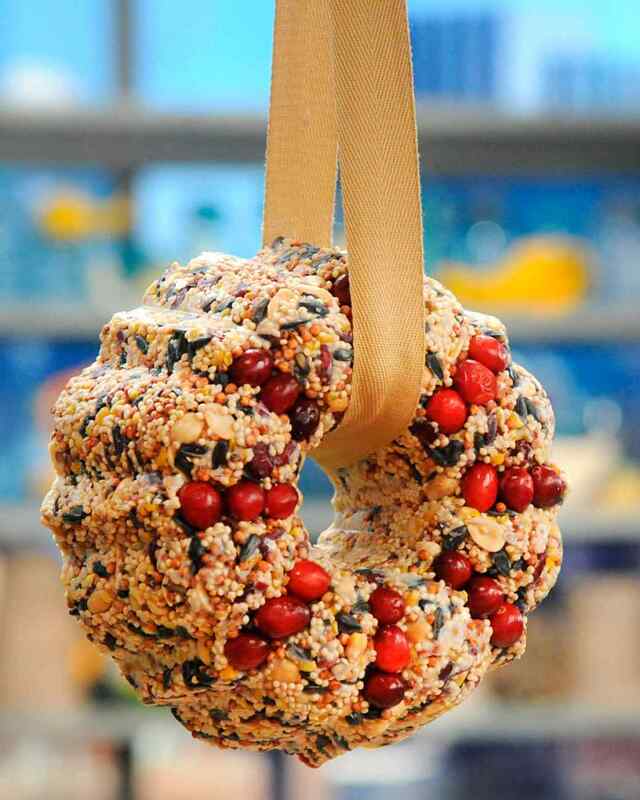 Bird Feeder Wreath by Martha Stewart. 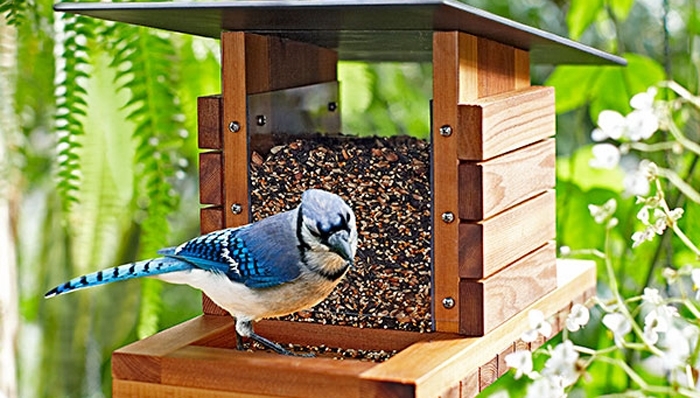 Bird Watch Feeder by Lowes Creative Ideas. 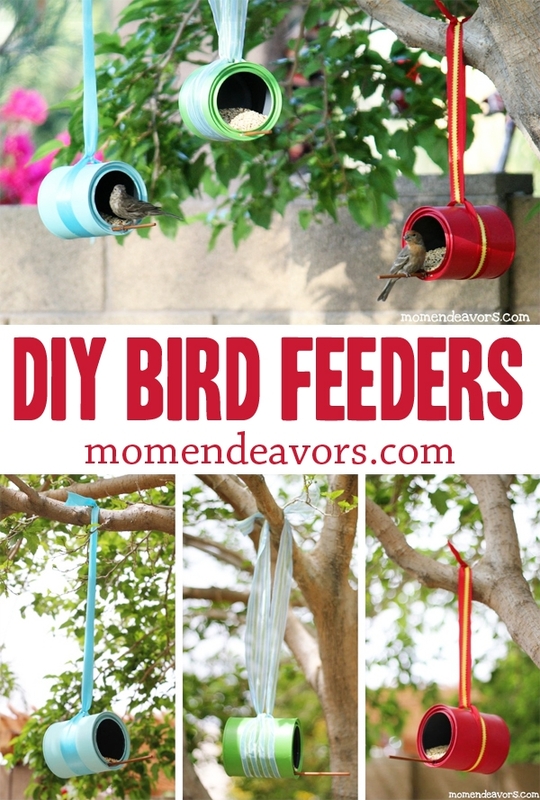 DIY Tin Can Bird Feeders by Mom Endeavors. 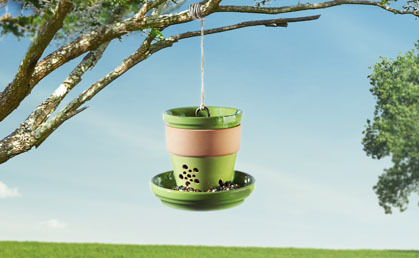 Hanging Bird Feeder by Dremel Weekends. 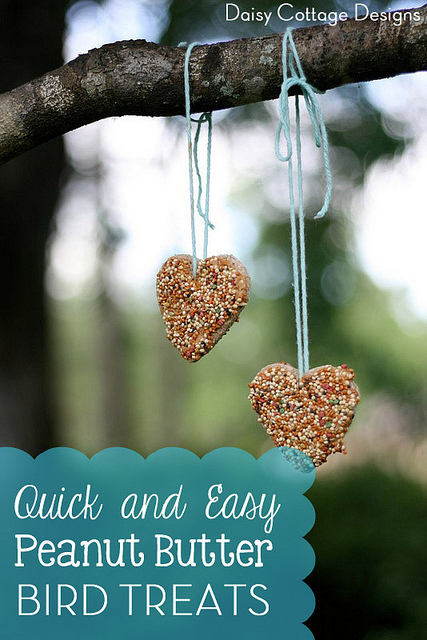 How to Make a Cute Bird Feeder by Cute DIY Projects. 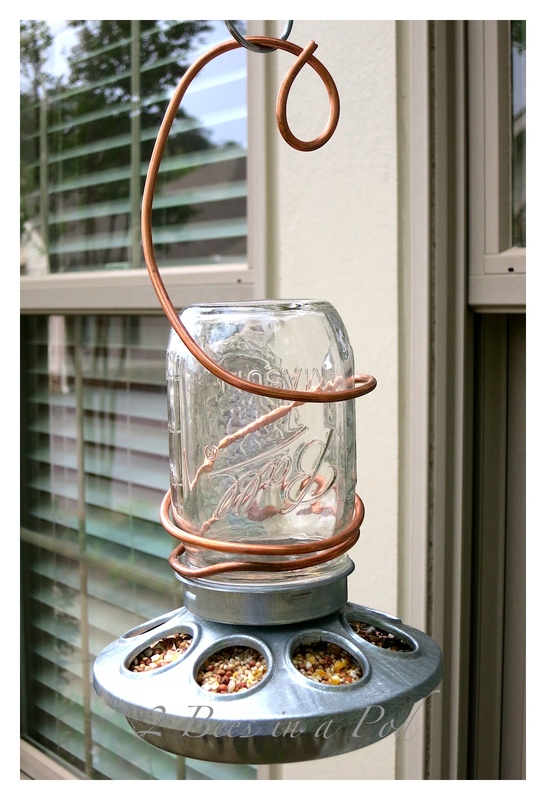 Jelly Jar Bird Feeder by Rebeccas Bird Gardens Blog. 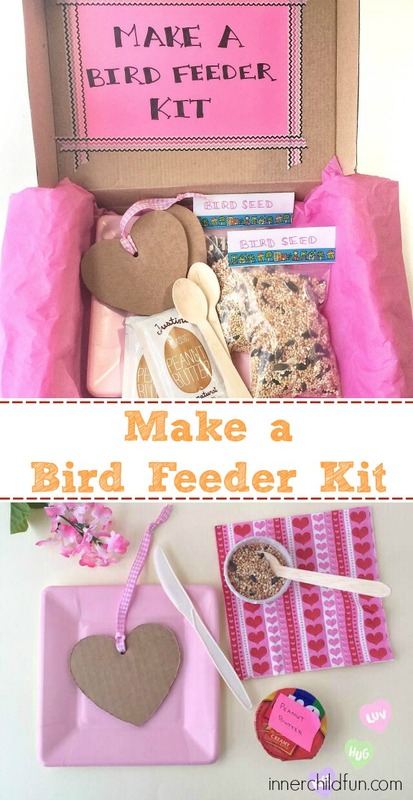 Make a Bird Feeder Kit by Giving.Inner Child Fun. 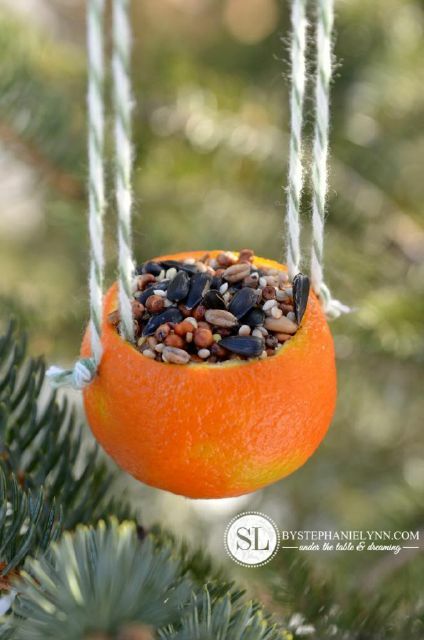 Orange Bird Seed Ornaments by Stephanie Lynn. Peanut Butter Bird Treats by Pint Sized Treasures. 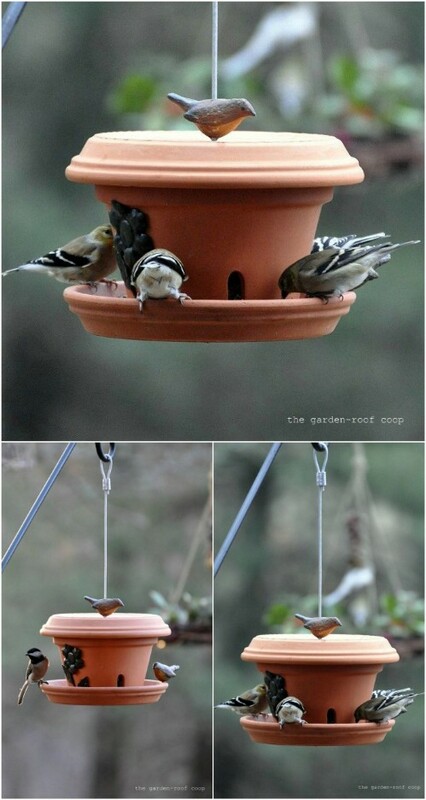 Pine Cone Bird Feeder by My Blessed Life. 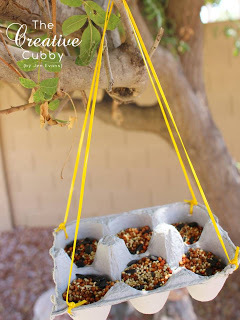 Homemade Pipe Bird Feeder by Birds and Blooms. 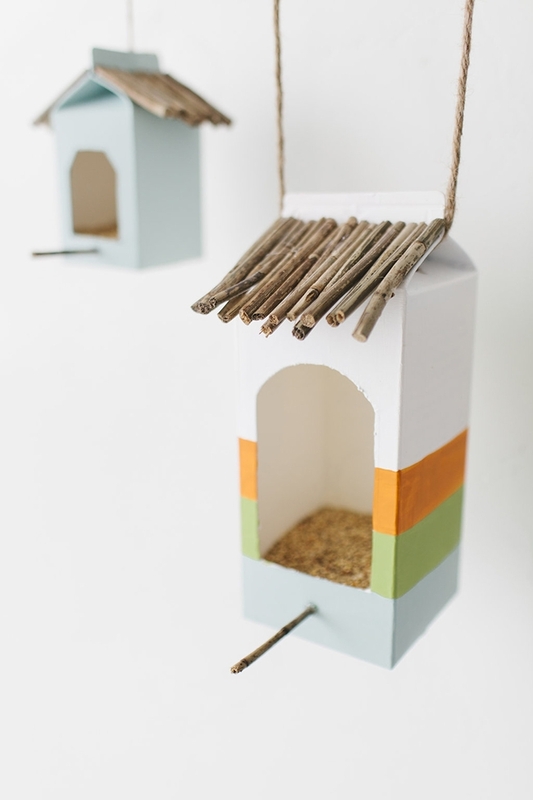 Popsicle Stick Bird Feeder by Tonyastaab. 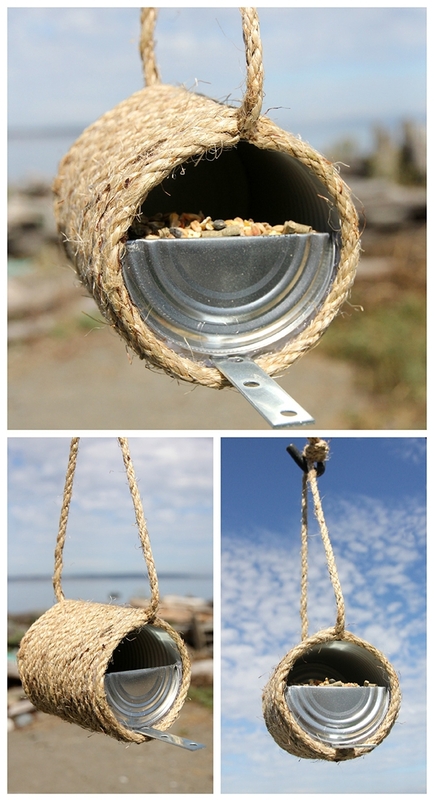 Rope Bird Feeder by Dabbles and Dabbles. 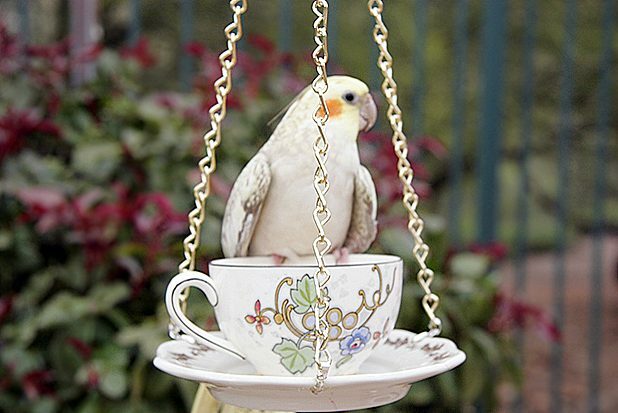 Tea Cup Bird Feeder by ehow.com. 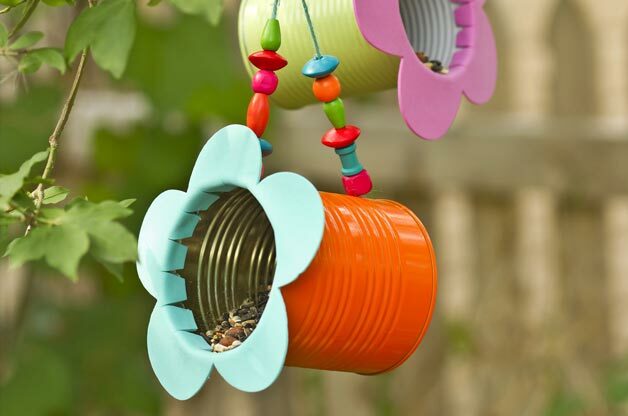 Tin Can Flower Bird Feeder by Birds and Blooms. 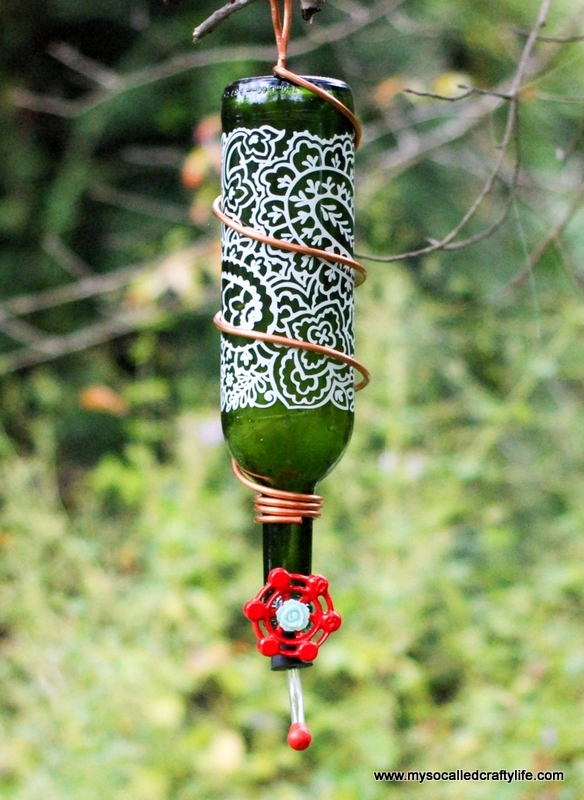 Topsy Turvy Wine Bottle Bird Feeder by My So Called Crafty Life. 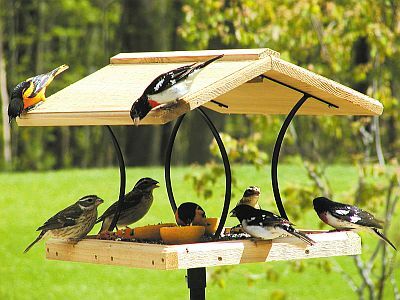 Tray Changer Bird Feeder by Song Bird Garden. 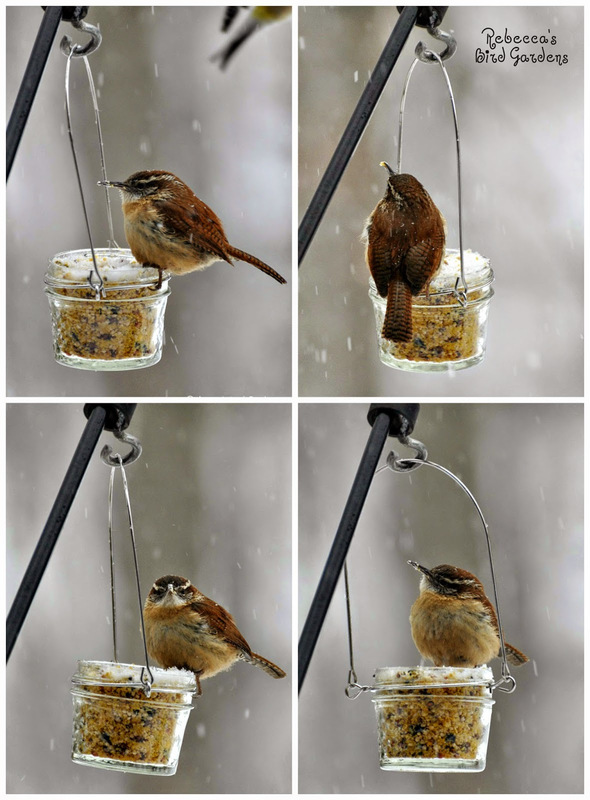 Window Bird Feeder by Ana White. 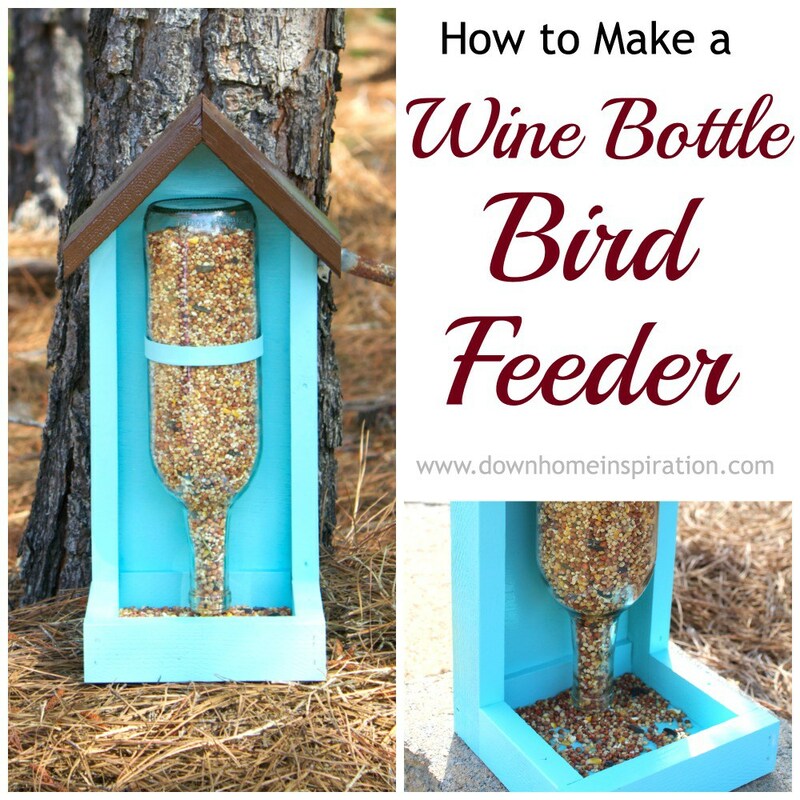 Wine Bottle Bird Feeder by Down Home Inspiration. 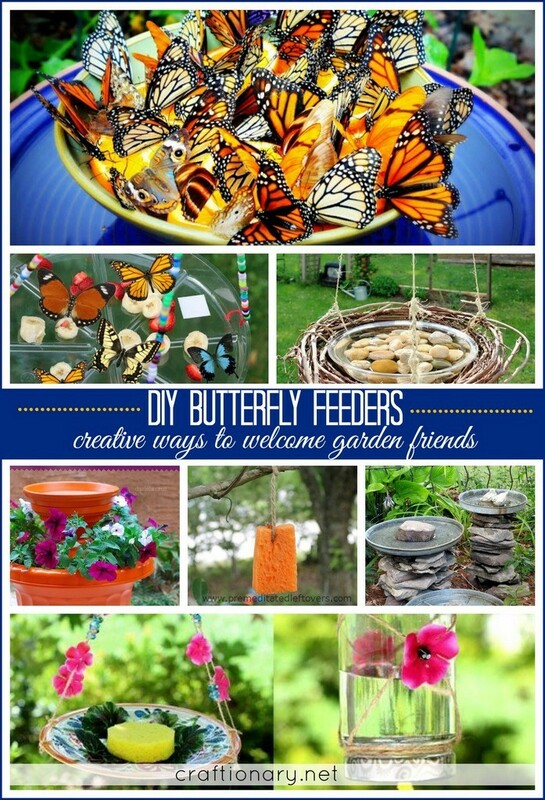 Such pretty ways to make DIY bird feeders. Oh my god!!! That looks superb and cute. I really loved it. 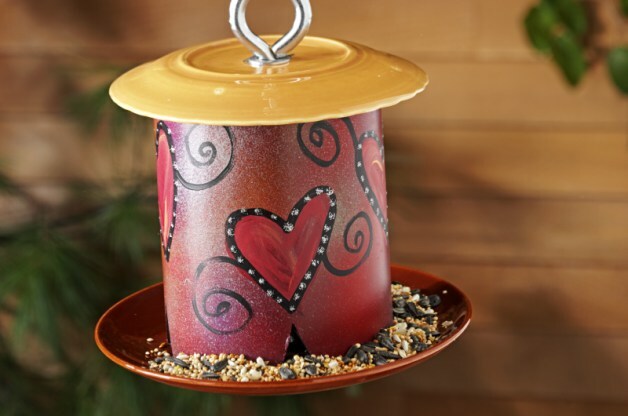 I have two love birds with me and I will try one of this awesome bird feeder. Thanks for sharing it.